Do you spend a lot of time in the kitchen? Or maybe you’re just looking for a new design to introduce into your cooking space? Traditional kitchen floor tiles can get boring quickly, and sometimes are not always practical. Stepping out of the ordinary may be of great benefit. In fact, it could have a lot of benefits depending on the type of flooring you decide to go with. So here are a couple of odd, but alternative kitchen floor ideas. Concrete may not always be your first choice, but hear us out. Concrete can withstand a lot of abuses when it comes to pets and children. It absorbs heat, and in the summer will save a lot on the energy bill. Concrete is great if you happen to spend a lot of time in the oven too! It’s water resistant and prevents mildew or algae from growing too. Concrete can often give the appearance of stone. It can also be textured, dyed, and scored to produce different looks. It also filters out odors and is super easy to clean. Who knew you could get so many benefits just for putting concrete in your kitchen? Rubber has a springy and soft surface that feels comfortable for the feet. It’s water resistant and does not burn either. It’s very easy to clean too. If you happen to spend a lot of time in the kitchen, this flooring is just perfect for you. Not only will your feet be comfortable, but it will make it easier to cook in the kitchen without aching feet. Since rubber is water resistant, you also don’t have to worry about water getting under tiles or soaking into it. There are also other rubber floorings that have a cork blend in them. Want to add a bit of flair to your kitchen? Does something a little different? Why not carpet tiles? Carpet tiles are great for designated areas of the kitchen. For example, have carpet tiles near the stove. They also go great where everyone eats too. Carpet tiles are soft underfoot and are a pleasant transition when spending a lot of time cooking the kitchen. You could have a line of carpet tiles near where you stand cooking for a long period. Carpet tiles come in many different shapes, colors, and sizes. Heck, you can even mix and match them if you’re looking to get a brand new design going! These alternate kitchen ideas are sure to be a blast in any kitchen. Each one has their uses, and in most cases makes cooking a lot easier. 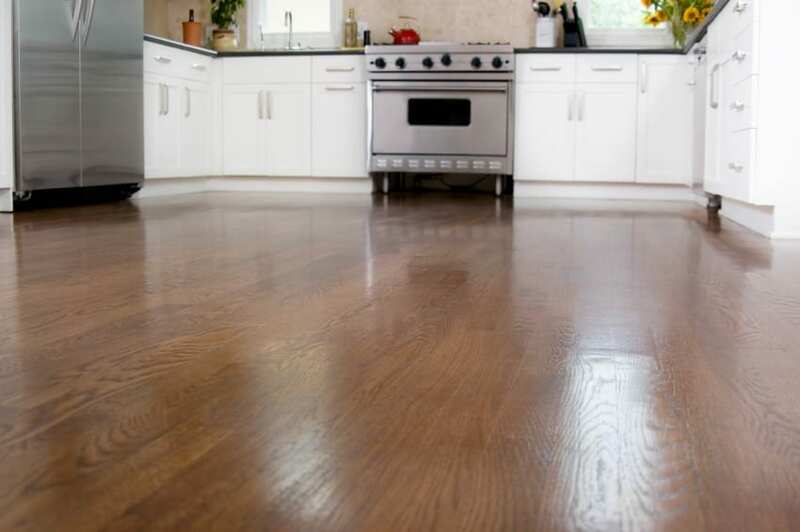 You should choose an alternative kitchen floor based on your needs and household. Each type of flooring has its own benefits and uses when it comes to the kitchen. However, they are sure to bring the extra character to your kitchen once you’ve made your decision on the matter. We sincerely hope you choose an alternative kitchen floor today!